What are heritage hotels and why choose heritage hotels in India? Stories of valiant warriors and their chivalry and legendary queens; of royal courts and princes; spectacle and pageantry and gracious and splendid living are steeped into the history of medieval India. As they were frequently warring society, maharajas constructed heavy fortifications to protect their subjects, land, produce and riches. In the late 1800s and beginning of 20th century when they warring subsided under the hegemony of British Colonists, the warrior princes commissioned astonishing architectural feats that would equally inspire the awe not just among their rivals and peers but among their subjects and their colonial ruler as well. Possessed as they were with obscene amount of wealth and riches, palace building became the passion with Art deco being its expression. Palaces and Havelis, redolent with the past, Jungle lodges, charming mansion on the precipice of a hill, a spa in a heritage home or a colonial hill residence with tea gardens for a view, each of these heritage hotel in India has a tale to tell and history to partake in. After the independence maharajas were derecognized through a Constitutional Amendment in 1971. 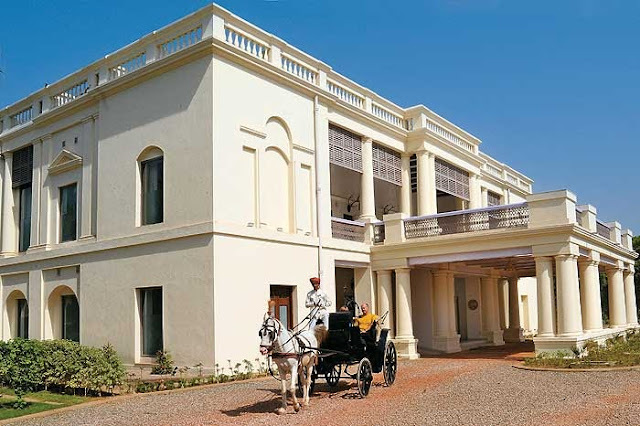 Unable to maintain the sprawling properties that required huge sum of money for their upkeep, some of the royal families managed to convert their ancestral homes into hotels. And thus the way of the past become a charming reminder of the way once the royalty lived and excelled their magnificent palaces. 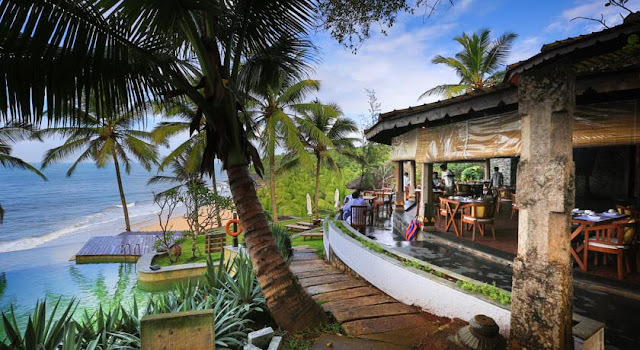 Mentioned below are some of the best heritage hotels in India with a brief overview. Partake in the slice of history, albeit with a difference when you actually stay in one of these heritage hotels in India: You, too, can be a part that history too! The Taj Lake Palace is a floating fantasy on the beautiful Lake Pichola. This heritage hotel in Rajasthan was built as a pleasure palace by the Maharana Jagat Singh II in the year 1746, by the Mewar Rulers. Apart from being recognized as the celebrated heritage hotel, Taj Lake Palace is also voted the most romantic heritage hotels in India and one of the top luxury hotels in world. No wonder we have included this marvel in our list of ultimate romantic vacation ideas in India. The tastefully done rooms and suites offer the element of lavishness, accompanied with excellent view of the lake and Aravali Hills. The architecture is a fine fusion of the Mewar’s diverse history of ethnic cultures with the European elements. Shambhu Prakash, the grand presidential suite of the hotel spread across 1734 square feet and equipped with private spa, personal butler, Jacuzzi and dining etc is also rated as one of the most expensive hotel suites in India. A romantic beachfront luxury resorts with a private beach and infinity pool, Neermaya Retreats Surya Samudra Kovalam in Kerala is one of the finest heritage hotels in India and a premier rejuvenation resort as well. Nestled within 20 acres of well-manicured gardens and coconut plantations, Nirmaya Retreats Surya Samudra is meticulously re-imagined as traditional Keralan cottages. In the tastefully done Karl Damschen-designed wooden cottages, the past fuses seamlessly with the present terracotta roofed rooms with wooden pillars and tiled floors. USP: Neeramaya Spa where the holistic East meets West therapies and spa session are counted as the India’s best. Ayurvedic therapies based on 5000 years old ancient Indian healing science are offered along with wide range of Western spa and massages. Wellness retreats lasting from two days to well over 28 days are offered in 8 treatments rooms all decorated in traditional Keralan motif. A cliff edge yoga platform is an icing for the lake for those looking for rejuvenation. Neermaya has been awarded many times as one of the finest spa & wellness resorts in India. If you are looking to reclaim the harmony of your body mind and soul; you might like our post on best spa and ayurveda resorts in India. The architectural grace has made the Taj Falaknuma Palace rank amidst the top 10 heritage hotels in India. 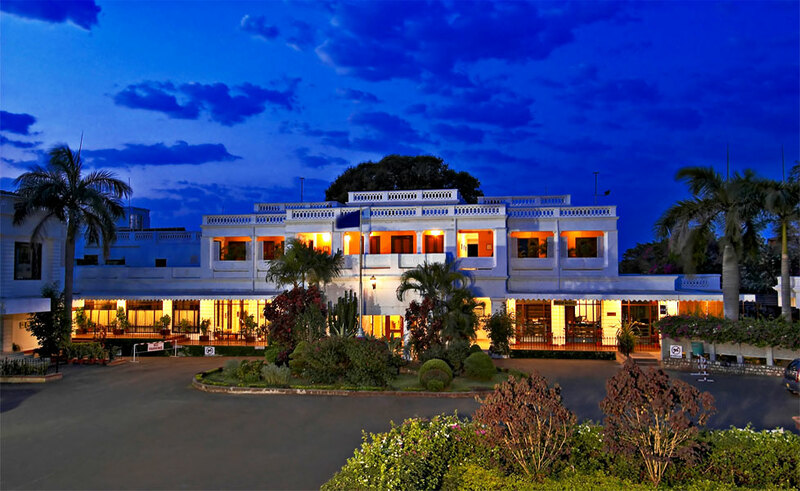 The hotel is also popular as ‘Mirror of the Sky’, as this palace is nestled in the middle of lush green gardens. 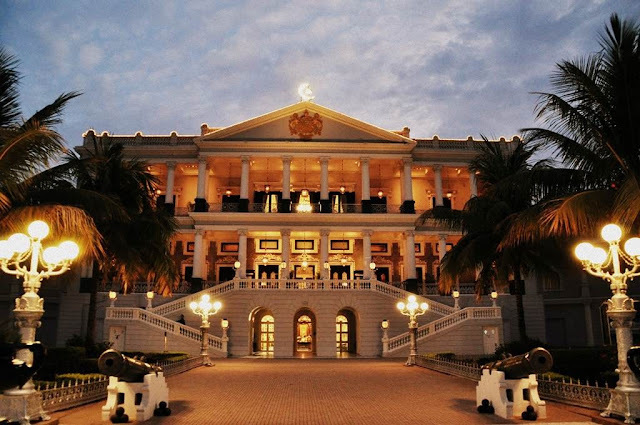 The palace, which was home of Nizam of Hyderabad, is adorned with beautiful outdoor terraces, grand marble staircases, excellent antiques, and Venetian-style chandeliers. There are all modern facilities offered in the rooms of this Italian- marble made palace. 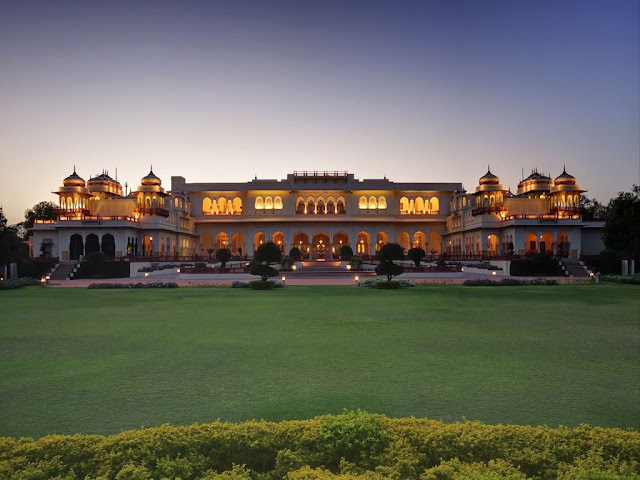 Taj Rambagh Palace serves as a true evidence of rich cultural heritage of the royal facets of Rajasthan. The hotel is appreciated for its elements like striking fountains, lush green gardens, and excellent services offered to its guests. The spacious suites and rooms of the palace assure of a comfortable stay. 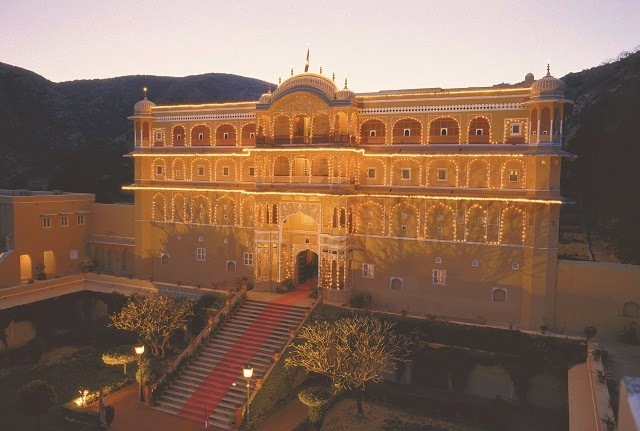 It is rated as one of the top palace hotels in Rajasthan. Kumarakom Lake Resort is situated on the banks of Vembanad Lake, thus offers amazing experience to the guests of the popular backwaters. 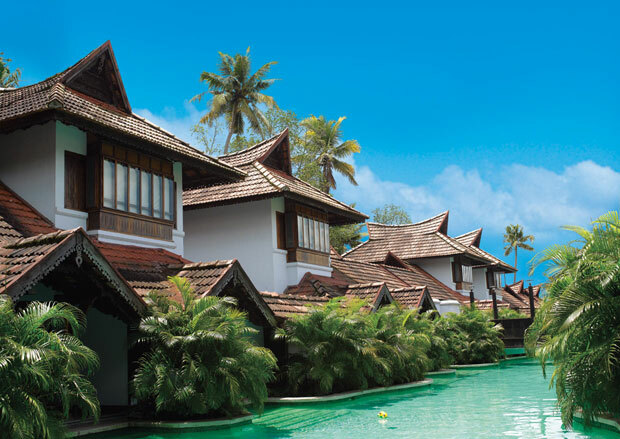 Some portion of the resort is designed according to the traditional Keralite houses. Every element of the resort reflects undying luxury, may it be the wooden ceilings or the Asian-inspired furniture. 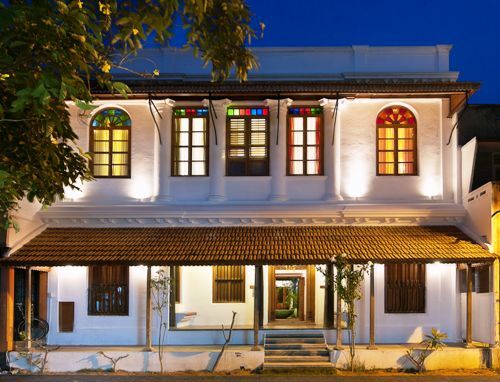 Maison Perumal, erstwhile old home, is a popular heritage hotel with tastefully done 10 rooms. The hotel is built with the amalgamation of Tamil and French style of architecture. Thus, the guests enjoy a pleasant stay along with savoring the spectacular views. Jehan Numa Palace, build in the 19th century, sprawled over an area of 5 acres of lush green gardens. You may clearly find the glimpses of a perfect blend of Renaissance and British colonial - time styles of architecture. For the guests, there are 6 suits and 100 rooms well furnished with modern facilities. Apart from being a popular heritage hotel, the Taj Mahal Palace serves as an important landmark in Mumbai, the financial capital of the India. Apart from enjoying the contemporary Indian designs in the architecture of the hotel, comfortable stay is assured with modern facilities and amenities. 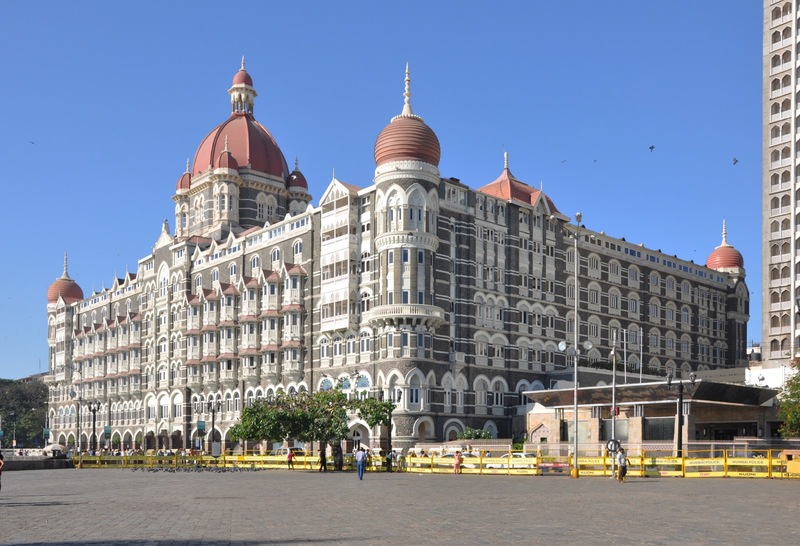 Taj Mahal Palace is placed on the top of the list of best luxury hotels in Mumbai. Set beautifully amidst the jasmine and marigold fields, Nadesar Palace is one of the prominent heritage hotels in India. The architectural style and interiors of the hotel serve as the true glimpses of the rich cultural heritage of the sacred city, Varanasi. This palace is 175 years old and was the abode of the Maharaja Singh. Standing majestically for more than 475 years now, Samode Palace is where you childhood fantasy of living the life like a king comes true. Restored to utmost grace and opulence, Samode Palace in Jaipur is one of the finest specimens of the Indo-Saracen architecture in Rajasthan. Intricate frescos, splendid mirror works, well manicured garden, courtyards covered with bougainvillea and cascading fountains create an out of this world experience like a scene from the Arabian Nights. The palace site was more of a fortification in the hinterland till the turn of 19th century when the under Rawal Berisal, it began to take shape of the grand structure as it stands now. 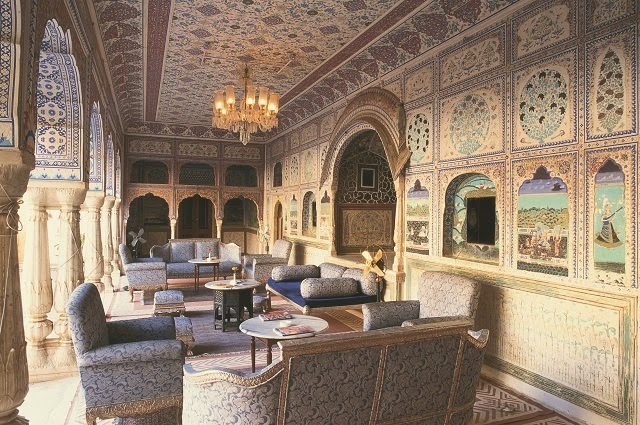 His successor Rawal Sheo Sing added some of the most resplendent features in Samode Palace that includes hand-painted Durbar Hall gallery with stunning hall of mirrors. Various dignitaries from around the world have graced this heritage hotel in Rajasthan. It is also a sought after venue for luxury palace wedding in India. And no wonder Samode Palace, with a history and legacy of over 450 years, makes it into our list of top 10 heritage hotels in India.